ONE Northside is a community organization comprised of 100 member institutions, including service agencies, schools and congregations, and over 800 individual members. We’ve joined together with Illinois People’s Action, Jane Addams Senior Caucus, The People’s Lobby and other grassroots groups to reclaim our state’s true values. 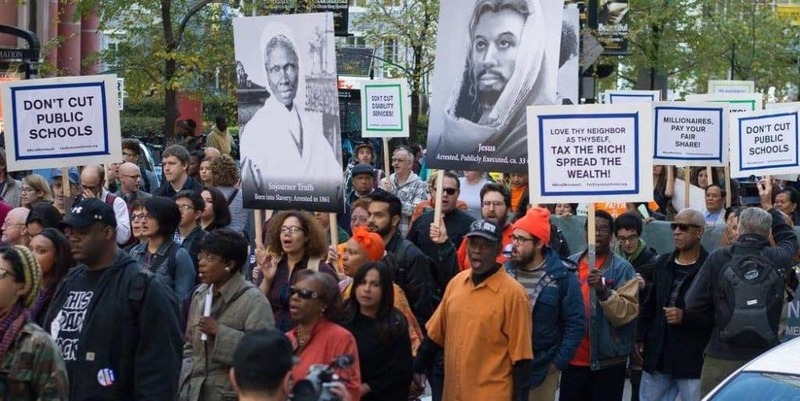 While we organized for progressive revenue solutions, however, we realized how deeply the ‘anti-government, anti-tax’ narrative had taken root our communities. It was difficult to convince people that our state needs to levy more taxes – even when we assured them we wanted the state to tax the rich and big corporations, not working people. People instinctively question why they should further fund a government they no longer trust and believe is bloated and inefficient. But when we organize, we help people understand government is simply a tool – as good or as bad as those who hold it. So it matters who is in charge. When we create a vision that inspires people about the role government could play in their lives with the necessary resources, then we build the momentum that can win sweeping transformations of our economic system.